Program Description: Now in its fourth edition we are excited to re-propose A tavola! In Italian a tavola! literally means “at the table” or a command “to the table!” – this concept is fundamental in the Italian culture because the table is where everyone meets to break bread, share laughter and stories, and deepen connections – it is as much about feeding your body as it is about feeding your soul. 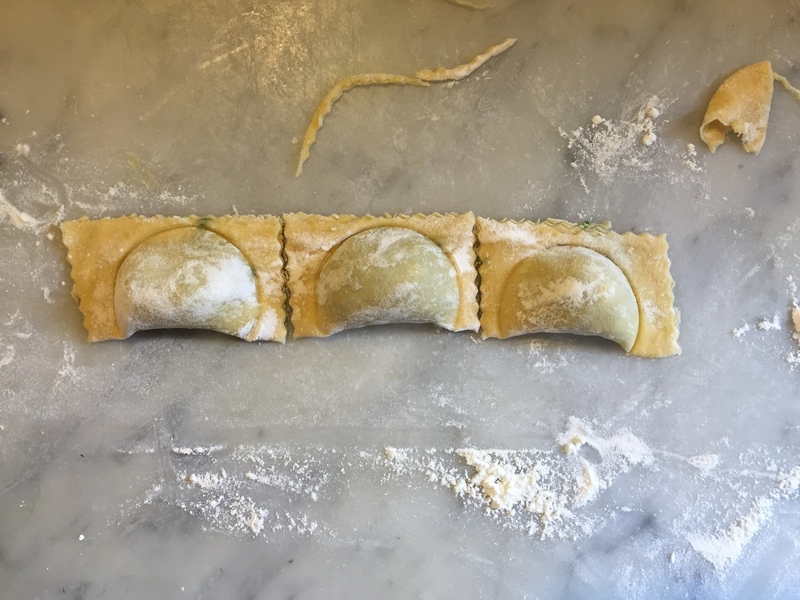 The Discovering Food and Wine in Tuscany program combines a balanced itinerary of cooking classes and field trips to local artisanal productions, small organic farms, a visit to Siena, visits to Tuscan villages and dining at excellent intimate restaurants. 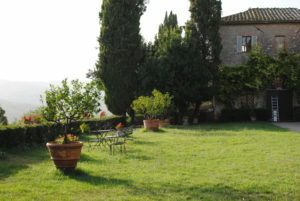 There will be plenty of relaxation on the grounds of your home site at Castello di Spannocchia, an organic agricultural estate nestled in the hills of Tuscany. You will indulge your senses with the tastes of Tuscany by sampling locally produced cheeses, salumi, wines, olive oil and honey. Learn first-hand how to prepare regional recipes with tips and techniques from our local cook, Loredana Betti. Learn about gardening methods that preserve the ancient landscape and provide the kitchen with a fresh, flavorful harvest. 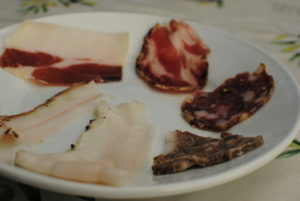 Find out about traditional cured pork products and the importance of raising organic, free-range breeds. By the time you depart Spannocchia you will be well versed in Tuscan flora and fauna, wine, food, and the delicacies that all play a part in the magic of Italy and the lure of Spannocchia. Mangia bene e bevi meglio! 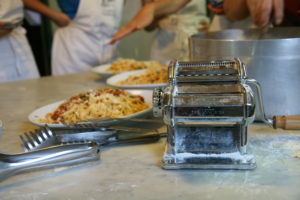 Two cooking classes – The first cooking class begins at 9 am with a tour through the vegetable garden at Spannocchia. Education Director, will describe the cycle of the various crops through the year and her methods for providing the kitchen with fresh, flavorful products. Then to the kitchen, where along with Loredana we will prepare a three course Tuscan meal utilizing food products from the estate. For our second course we may choose between our own farm-raised pork, or beef, or perhaps even wild game, and this will be accompanied by fresh vegetables direct from the garden. We finish with a traditional dessert such as cantucci cookies with Spannocchia vin santo, pinenut cake, tiramisu, or our renowned chocolate salame. A vegetarian menu is also available. Cinta Senese Tour and Tasting – Learn everything about our Cinta Senese pigs. A close-up look at our Noah’s Ark rare breed animals, our organic artisan meat production and the typical salumi (salt-cured meats) that we create. The tour includes a walk to see the pigs in their habitat, a glimpse into our seasoning/curing room, and finishes with a guided tasting of our salumi products such as salame, prosciutto, capocollo and lardo. Wine tasting and tour – learn how wine is made, the different kinds of grapes, vines, and wines made in Tuscany and a guided experience to learn to evaluate the wine characteristics. Visit to local farm and producers – according to availability we will visit some local farms of friends to learn more about local cheese, wine, bakery. one visit to Siena – with guided tour and lunch out. One visit to local hiltop town with lunch out and farm visit. Visit to another local hilltop town with dinner out. soon the new updated schedule! breakfast will be everyday between 8 and 10 – it includes coffee, teas, granola, cereal, juices, boiled eggs, homemade jams, honey, yogurt, fresh fruit and breakfast cake. MORNING ACTIVITY – that could be one of the 2 cooking classes – or field trip. 1:00 pm LUNCH – buffet style if not part of the Cooking Class. 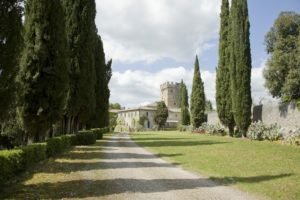 AFTERNOON ACTIVITY – a guided tour at Spannocchia such as Cinta tour and tasting, Wine tasting, etc. or field trip. 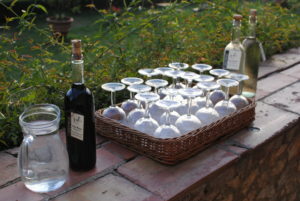 7:00 pm wine on the Villa Garden terrace – the Spannocchia community and guests gather on the terrace for a glass of wine before dinner. It’s a perfect way to enjoy the sunset and a chance to meet the other guests, interns and residents. 7:30pm dinner – Spannocchia dining facilities are family style and the concept is very much ‘farm to table’. We all (staff, guests, interns) eat together in a communal dining area every evening except Saturday. The meal includes wine, water, bread, primo, secondo, contorno, insalata and dolce. There is only one seating since it’s a community meal. While the food is very good, and the atmosphere is a lot of fun, please note that it’s definitely not fine dining! While we are sensitive to the special dietary needs of certain guests, we do not run a restaurant-type operation. We have two cooks, Pietrina, who are responsible for creating meals for all of our guests, staff and interns. For this reason, we cannot cater to guests with too specific of food preferences. Vegetarians, for the most part, will have plenty of food to enjoy, simply by opting out of our meat main. Single room, 1900 euro per person. Includes all cooking classes, transport upon arrival, field trips, entrance fees, guides, room and board. Program costs not included: Airfare, Individuals will be responsible for purchasing their own flights. NOTE: Please check with the group coordinator prior to booking a flight to ensure proper arrival time. Deadline to sign up: January 15th 2020.